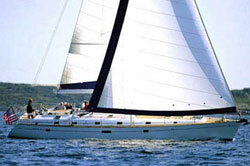 In yachting circles, Sal / Palmeira is a common name and constitutes an attractive destination. Many visitors come here on a yacht charter due to its natural beauty, great sailing opportunities, abundance of sights and good infrastructure. Whether you’re a beginner or an experienced sailor, you have to visit Sal / Palmeira at least once in your life on a sailing holiday. 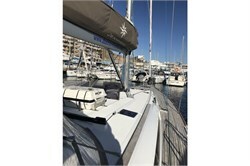 YachtBooker is glad to provide you with a large offer of boats in Sal / Palmeira as well as in other places around the world. If you would like to search the best offers for charter yachts, simply head to the YachtFinder® menu on top of this page and start choosing the criteria that best suit your needs. You can choose a country you wish to visit, a type of boat you want to travel in and the starting date as well as length of your boat rental. If you are thinking of exploring other places around Sal / Palmeira, YachtBooker has prepared more information on similar locations with great sailing potential. For more ideas just check out the list of articles on the right corner of the page. Here you will find detailed descriptions on how to arrive, what there is to do around town, tourist accommodation and possibilities for sightseeing as well as dining out on your sailing or motor boat charter.